I am writing in response to the article published by the Lanthorn, “Student senate votes to discontinue Battle of the Valleys fundraising competition.” I am currently president of the Saginaw Valley State University Student Association, and last year I served as philanthropy chair for SA, which placed me in a position to lead SVSU’s fundraising efforts during Battle of the Valleys week. I was saddened to learn that the GVSU student senate has voted to discontinue participation in Battle of the Valleys, a fundraising competition that has raised a combined $652,385 for charity over the past 16 years. This is utterly false. I can directly speak to SVSU’s full adherence to the competition rules during the past two years, and I am familiar with the commitment and integrity of past SA leaders. We at SVSU did not collect a dime outside of the designated week of competition. We worked diligently in advance to make it easy for people to donate and to maximize contributions during BOV week. It is true that we accepted donations from SVSU faculty, staff, alumni and friends, as well as students, but this is fully within the rules. To suggest any improper conduct by SVSU students is an insult and cannot go unchallenged. Over the past 16 years, thousands of Cardinals have poured their heart and soul into the cause of helping others during Battle of the Valleys, and their legacy should not be tarnished by an unfounded and inaccurate allegation. At SVSU, we care deeply about the non-profit agencies in our community and the people they serve. That is why I – and so many others inside and outside of SA – have worked tirelessly during Battle of the Valleys week to raise funds. For example, I work as a medical scribe in a local hospital. During my year as philanthropy chair, I worked four overnight shifts during the week prior to Battle of the Valleys so that I could fully commit to the 18-hour days required to successfully raise funds during the contest week. To me, this was work and sacrifice to be embraced in service to a cause greater than myself. I know many others could share similar stories of determination. I would like to close by thanking all of the GVSU students who have participated in Battle of the Valleys over the years. The competition pushed us to be our best and do our best for our charity partners, and many deserving causes are the better for our shared and individual efforts. This contest began in 2003 as a way to capitalize on the attention drawn by the football rivalry to engage the respective student bodies out of a desire to help others. 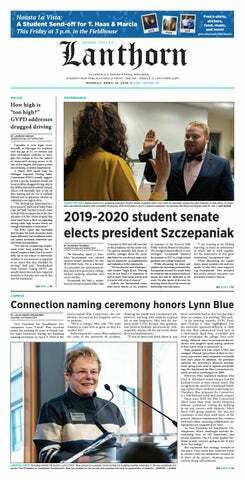 We at SVSU are sad to see it end this way, but we are grateful to have learned valuable lessons and to know that many lives have been changed for the better through this Battle.